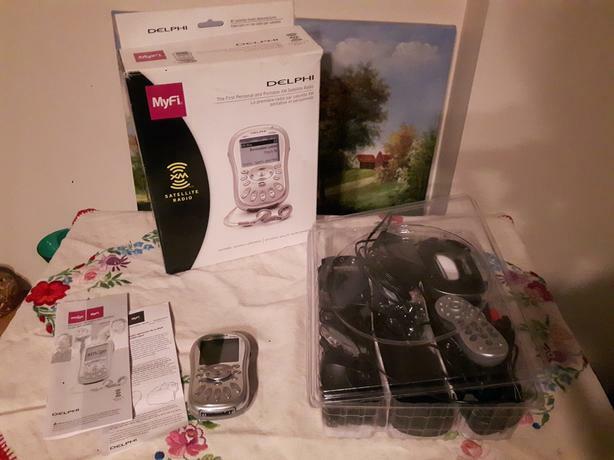 I'm selling my brand new Delphi XM2Go portable XM satellite radio. Only turned on to make sure it works...never used, never had a subscription (please don't ask me about how to get subscriptions or how it works...I don't know). This is the full load kit...has the portable main unit with all sorts of add-ons like the home kit with dock, car kit with various attachments. All paperwork, cables, etc included.